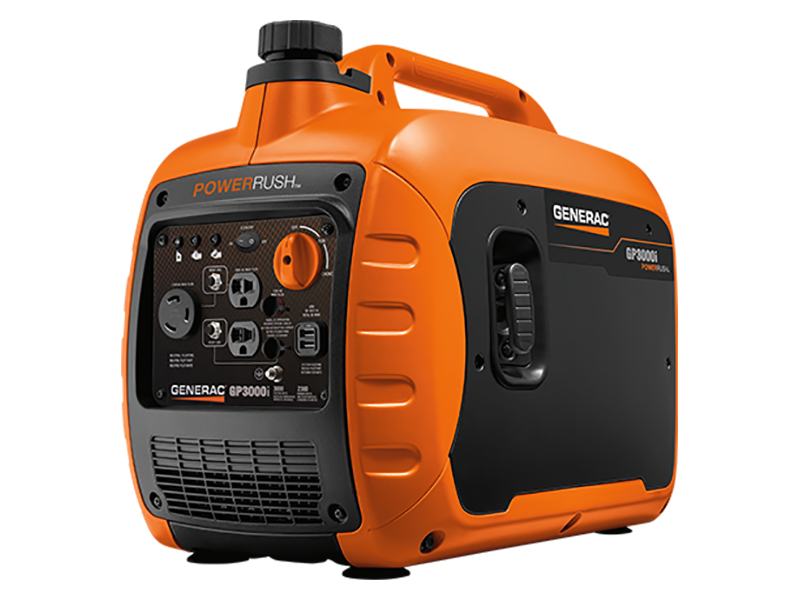 POWERRUSH™ ADVANCED TECHNOLOGY: Delivers over 50% more starting capacity allowing you to do more with less*. *Increases electrical current upon demand; above rated output when starting electric motors. ECONOMY MODE: Automatically adjusts engine speed to save fuel and reduce sound emissions. QUIET INVERTER POWER: Reduces sound emissions and provides optimal performance. USB PORTS: To charge mobile devices including smart phones and tablets. 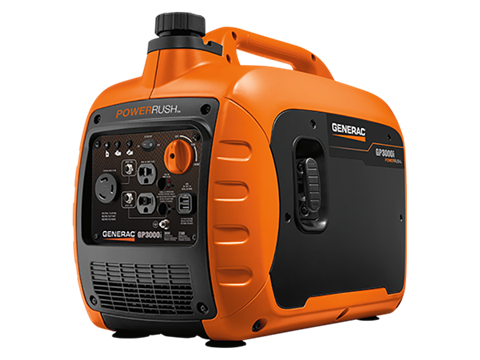 TRUE POWER™ TECHNOLOGY: Provides clean, stable power ideal for sensitive electronics, tools and appliances. EASY TO CARRY: Compact & lightweight design with built-in handle makes transportation easy. 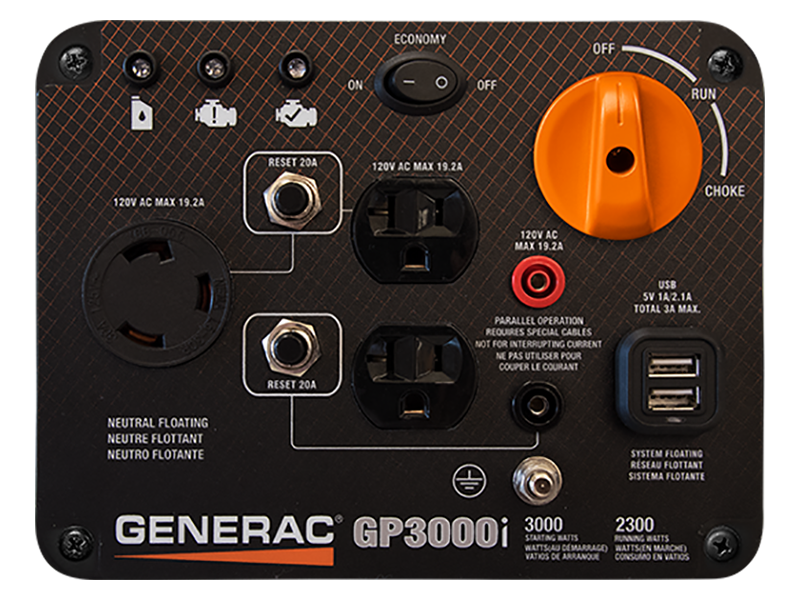 GENERATOR STATUS LIGHTS: Visual alerts when unit is low on oil, overloaded or ready to use. 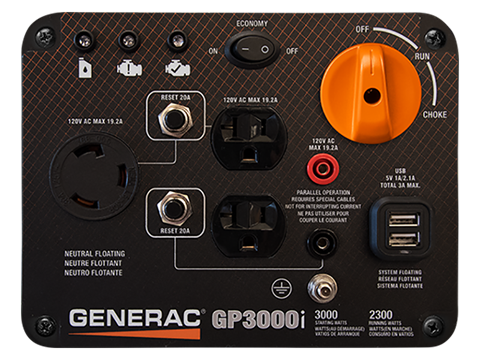 POWERDIAL™: Choke, Run, Off: three operation settings integrated into one simple-to-use dial. Run time @ 25% rated load - 5.8 hr. Run time @ 50% rated load - 4.5 hr.